To indulge our love of public transport in Hong Kong we jumped on the No 6 bus to Stanley, a small town on the south east coast of Hong Kong Island. 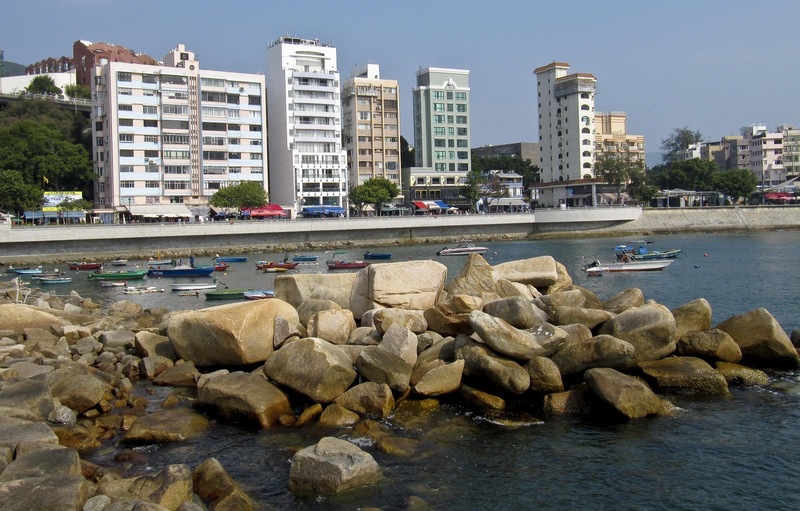 Stanley has two main attractions - a market selling everything you neither want nor need, and a promenade full of bars and restaurants. 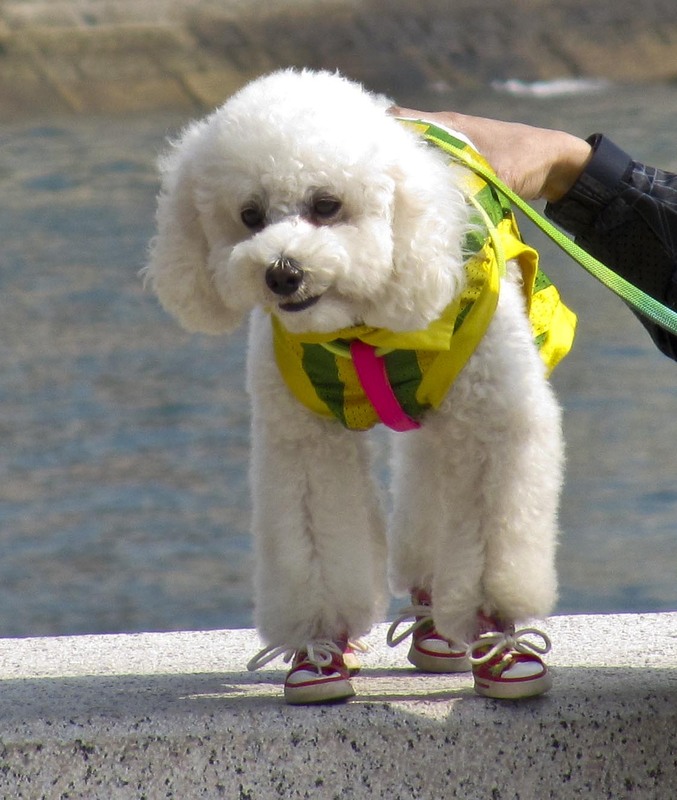 ... a poodle in a Brazil shirt and Converse All Star boots! 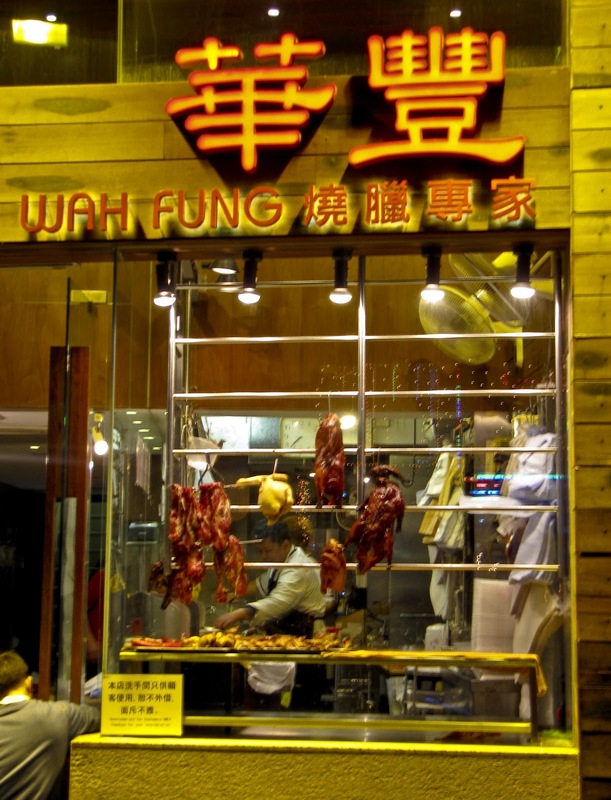 We headed back to Hong Kong and crossed the river to Mong Kok, Kowloon. This place was seriously busy with local shoppers and tourists snapping up the latest gadgets in the electrical shops or more of what you don't need in the Ladies Market. 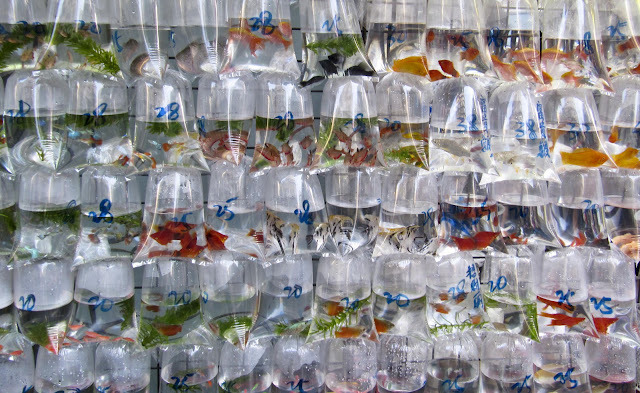 The busiest shops of all though were the goldfish shops. 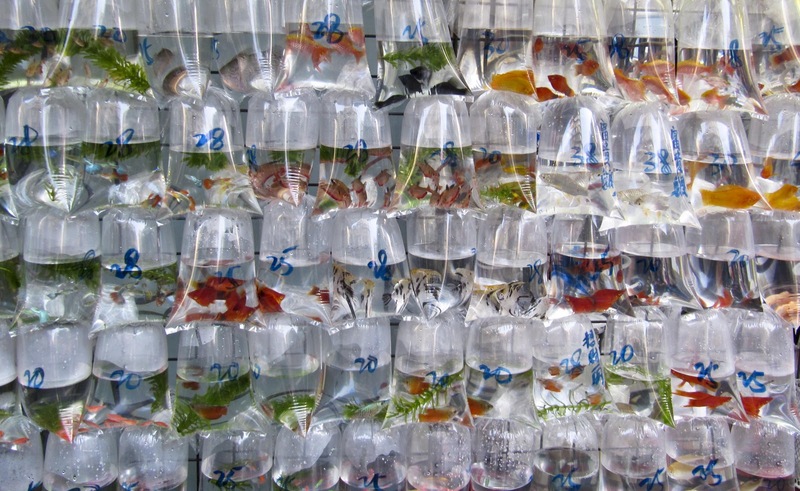 Literally thousands of bags of fish lined up on the street, each bag costing between a few pence to a couple of pounds. ﻿Amy was getting hungry and for some reason wanted sushi, but we decided to treat ourselves to afternoon tea at the opulent Peninsula Hotel instead. As did 5 bus loads of Japanese tourists in their fetching UV visors! We walked through the lobby and as nice as it was, the wait of 'over 2 hours in this queue' didn't really float our boat. Boat - great idea! We headed back to Hong Kong on our favourite Star Ferry but sat downstairs (due to using a different pier entrance) and only had to pay 17p! Result, but I wonder why this business makes a loss each year? 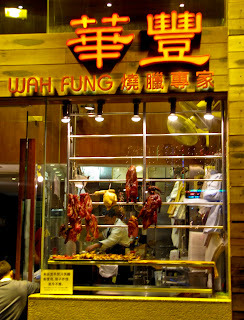 As it was our last night we headed to our favourite restaurant for more roast duck and pork. Cheers Hong Kong; a great first taste of the East.